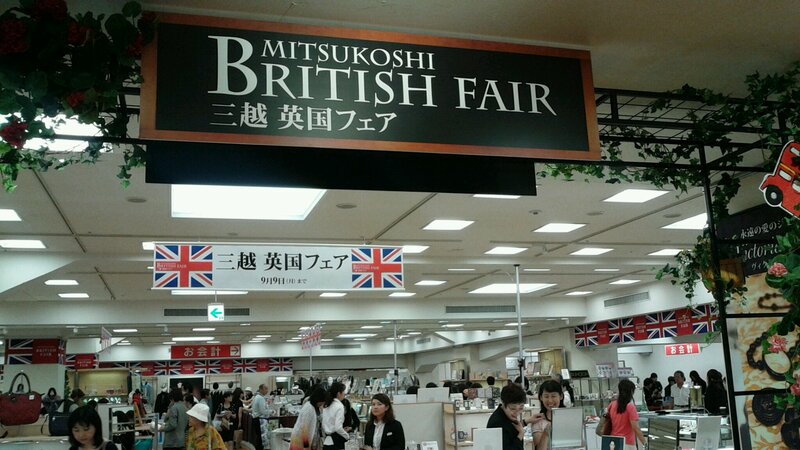 Over the past week, Mitsukoshi department store in Nihonbashi has been holding its annual British Fair. 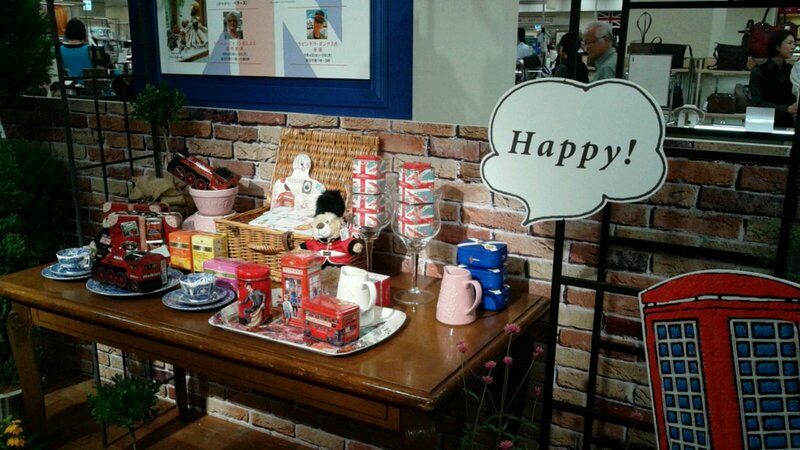 Having come back from a simply marvellous holiday in the UK a few weeks ago, I was feeling the need to get a bit of Britishness back into my life. 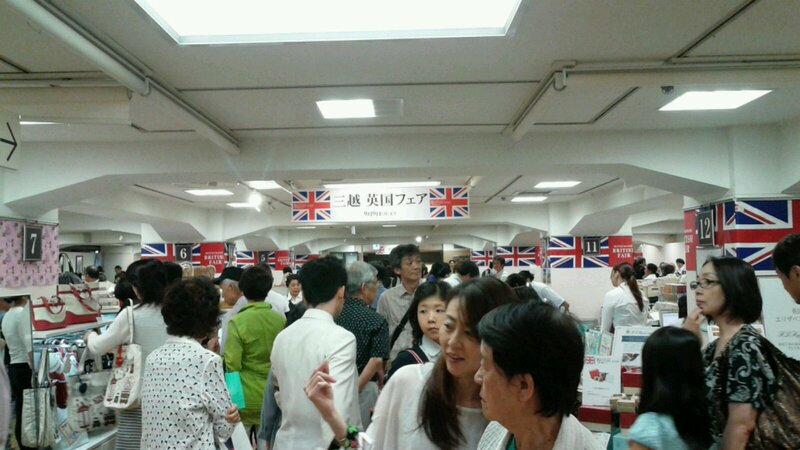 So on Sunday, I made my way to east Tokyo, ready to be regaled like a royal. The location was very well signposted – no getting lost for me for a change! 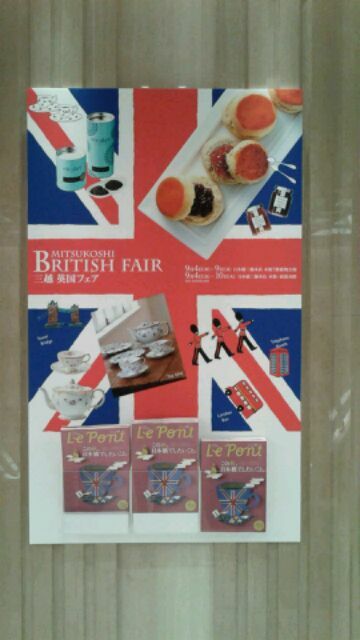 Once I exited the ticket gates and entered the luxurious department store, I was presented with numerous posters like this. They were like a trail of breadcrumbs, leading to the glorious spoils awaiting me. It was hard to leave the basement though – there is so much decadent food down there! There were a lot of people there! 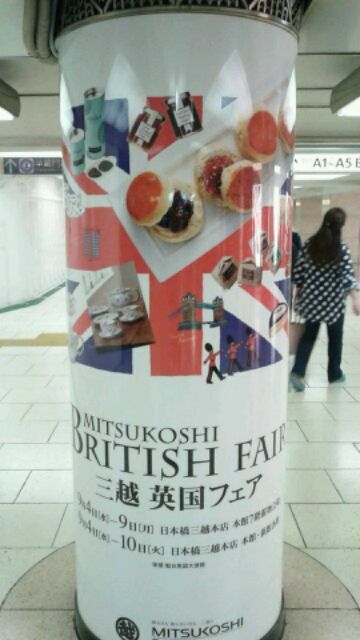 Apparently I wasn’t the only one craving a bit of Blighty. 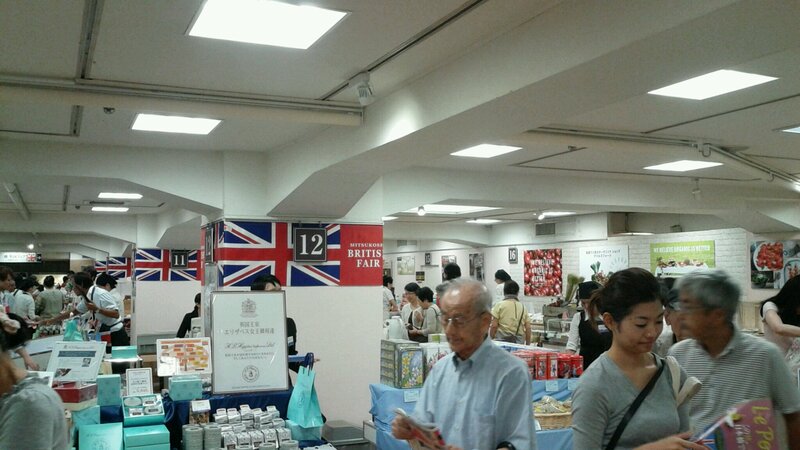 I felt like I had been transported back to the UK. It was kind of nice I must admit. 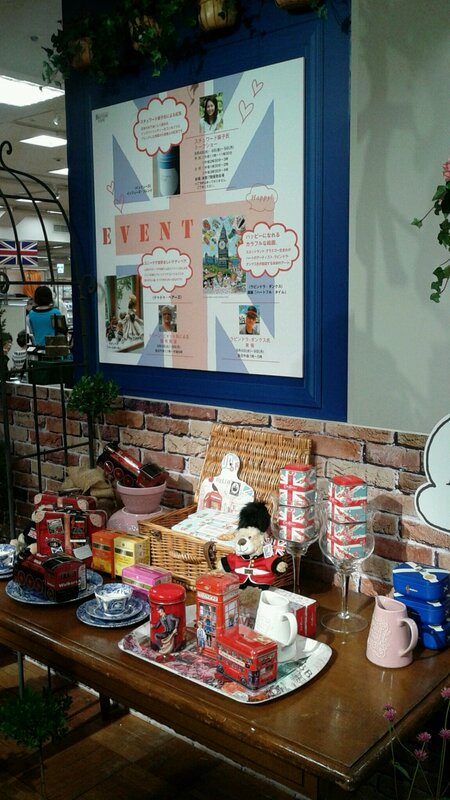 More Britishness than you could shake a stick at. 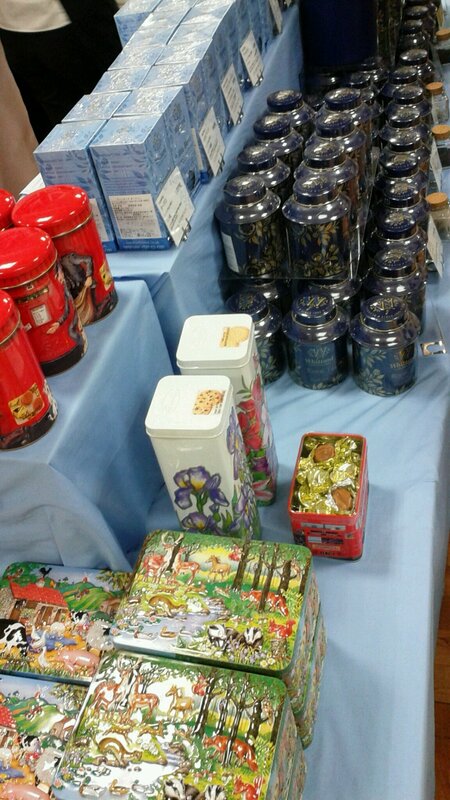 I’m not sure I’ve ever seen so much tea in one place before. Yorkshire Tea, Twinings, PG Tips, Whittard – you name it, it was there. 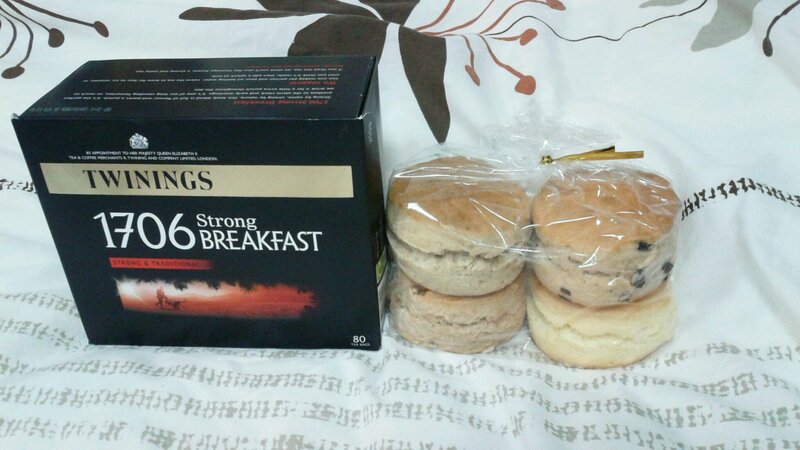 Ridiculously overpriced Twinings tea, and a selection of scones: plain, raisin, apple and cinnamon, and Earl Grey. I justified the purchase of the tea on the basis that my precious Yorkshire Tea is running out. 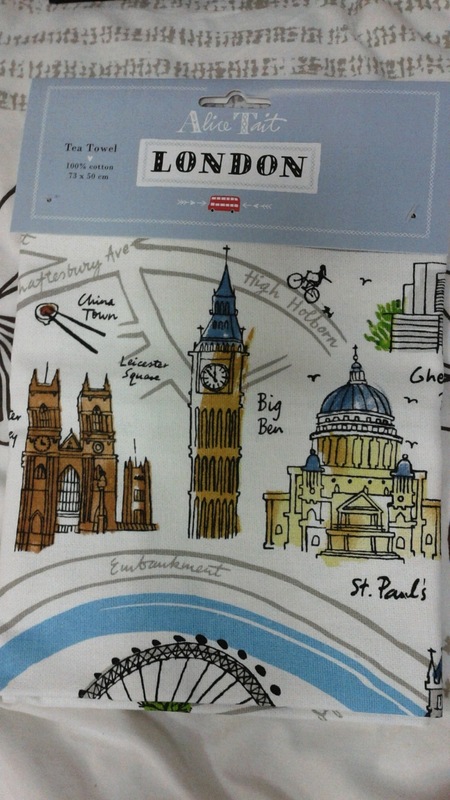 I bought a tea towel. A tea towel! I’ve never bought a tea towel in my life! I mean one of those souvenir type ones anyway. I didn’t even get one at Pooh Corner a few weeks ago! But I got one here, in Tokyo. How mental am I? It is rather lovely you must admit. I just fell in love with Alice Tait’s illustrations of my beloved London. I had a really wonderful time! I can’t wait to go to another event like this! Isn’t it just? It was love at first sight! 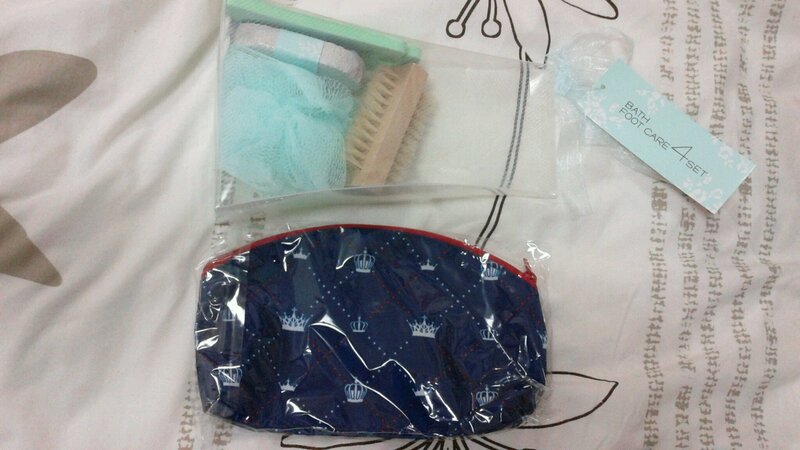 I’ll probably never even use it so it doesn’t get dirty! Haha.